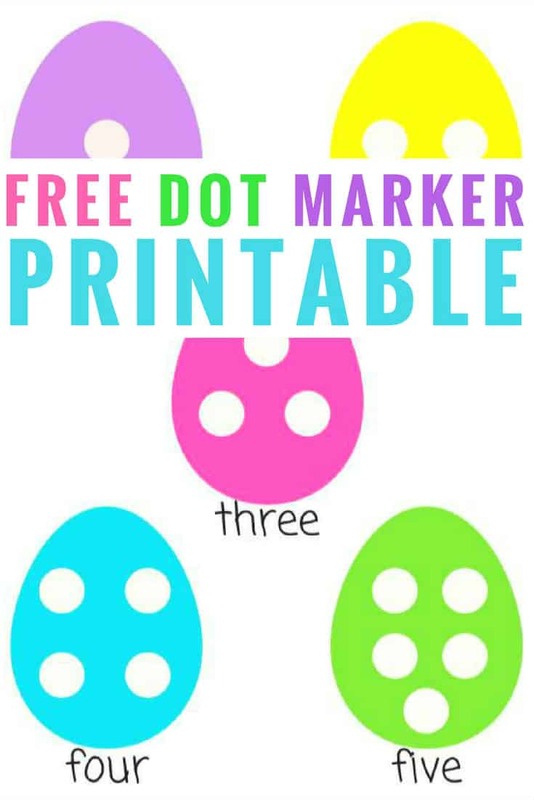 Are you looking for a FREE dot marker printable? 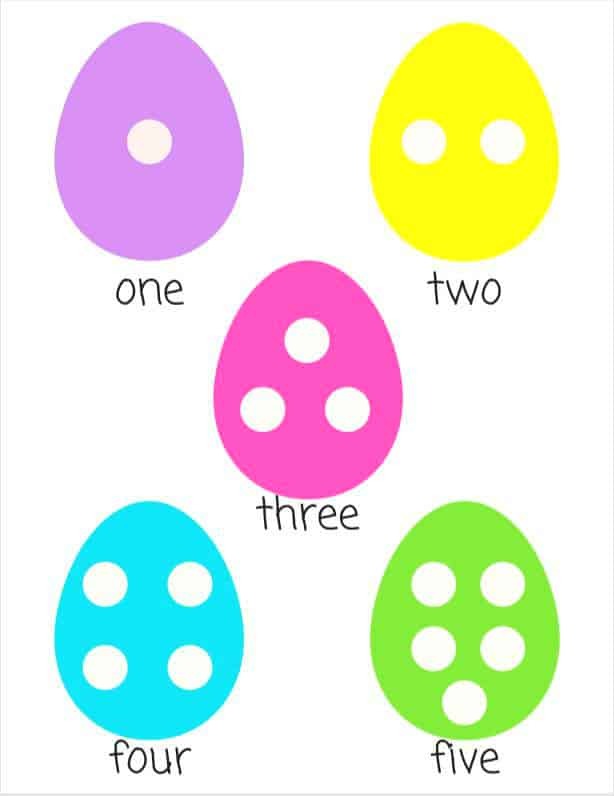 We have the cutest free Easter egg printable, and it’s even better because it’s a fun, colorful, counting activity for preschoolers! You can even add the printable and markers to an Easter basket for a fun non-candy activity. 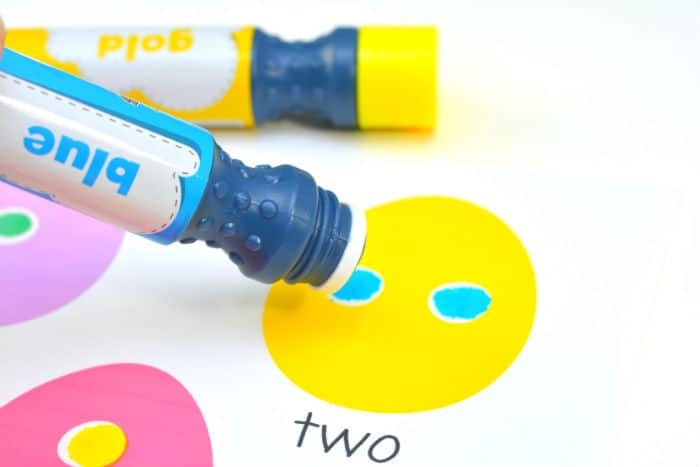 Kids adore using dot markers, and they’re also fantastic for building fine motor skills and developing hand eye coordination. This is one of my favorite preschool or toddler counting activities, since it’s a mess free, low prep thing to do. Cleanup is easy too. We love doing these worksheets when it’s cold or rainy outside, since it keeps little ones busy. Tip! If you don’t have dot markers, you can use Cheerios, Fruit Loops, candy or even little pom poms to fill in the dots. Round dot stickers (like these ones) are also a fun idea. I love to take worksheets like this one along on doctors or dentist’s appointments, or when dining out, to keep kids busy. At least five colors of craft dot markers. 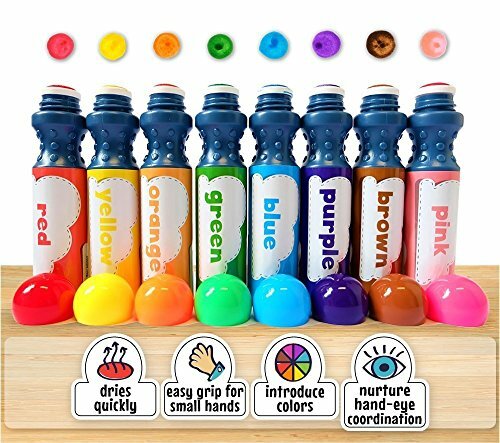 We like Dab and Dot Markers, because the colors are bright, they dry quickly, and kids love them! Easter egg counting worksheet printable. Click here to download the printable now! 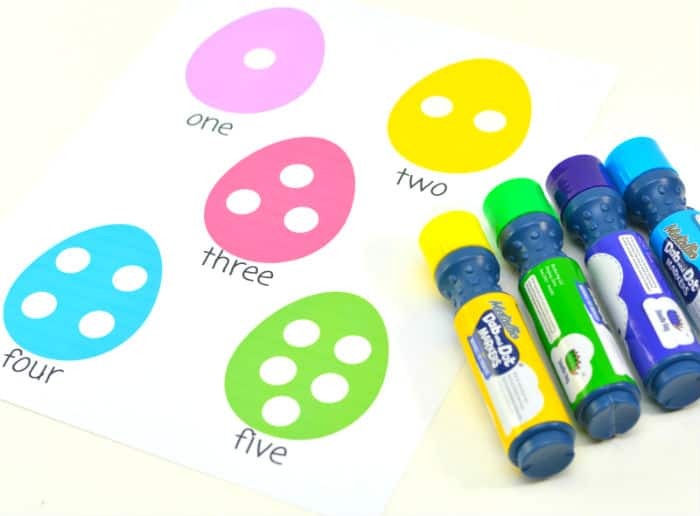 Print out the dot marker printable, and get the markers ready. Get your preschool age child to hold the Dab and Dot Marker like a pencil. 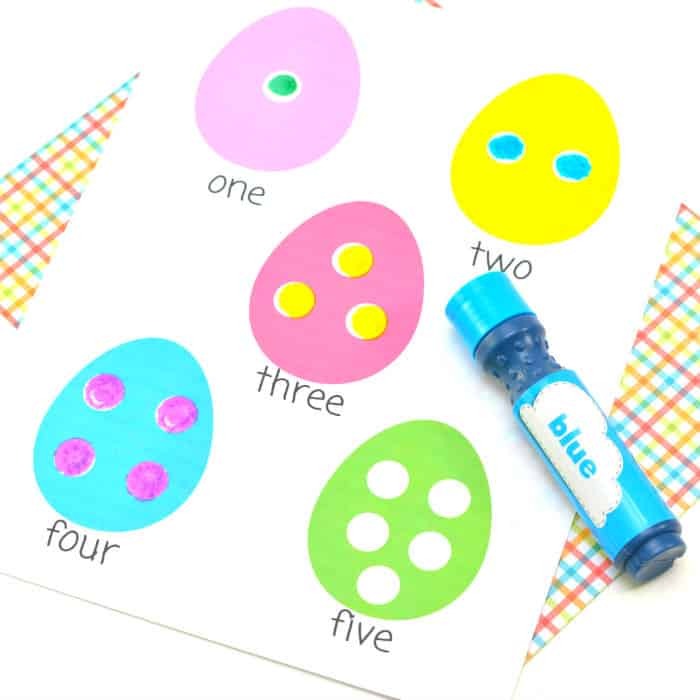 Starting with the number one egg, get them to use the dot marker to add dots to the white circles on each egg. Use a different color for each egg. Be sure to count out loud for reinforcement. 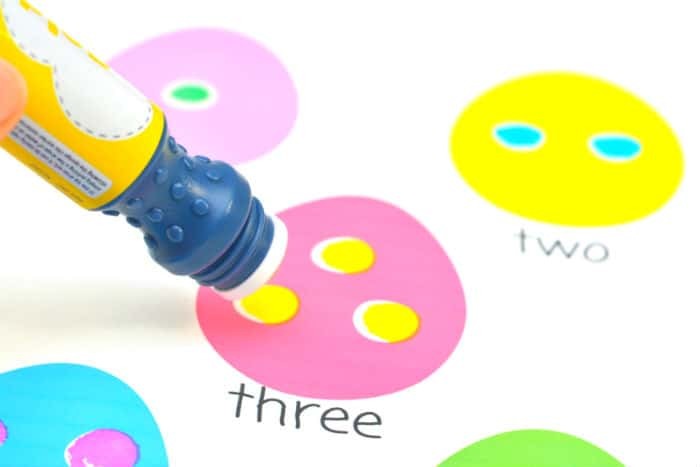 For older children, use the dot marker printable for number word recognition. The worksheet is also fun to help your child identify colors. Ask you child to point to, and say, the colors of the eggs as they do the worksheet. Once the dot marker ink is dry, you can re-use the worksheet! Use Fruit Loops of candy to fill in each of the spots on the eggs. The fun part about this is that they get a treat when they’re done! How fun. What a good idea for young children this Easter!